Some functions when applied to a groupby object will act as a filter on the input, returning a reduced shape of the original (and potentitally eliminating groups), but with the index unchanged. Passing as_index=False will not affect these transformation methods. If there are any NaN values in the grouping key, these will be automatically excluded. So there will never be an “NA group”. This was not the case in older versions of pandas, but users were generally discarding the NA group anyway (and supporting it was an implementation headache). Your may need to specify a bit more data to properly group. You can use the pd.Grouper to provide this local control. Groupby also works with some plotting methods. 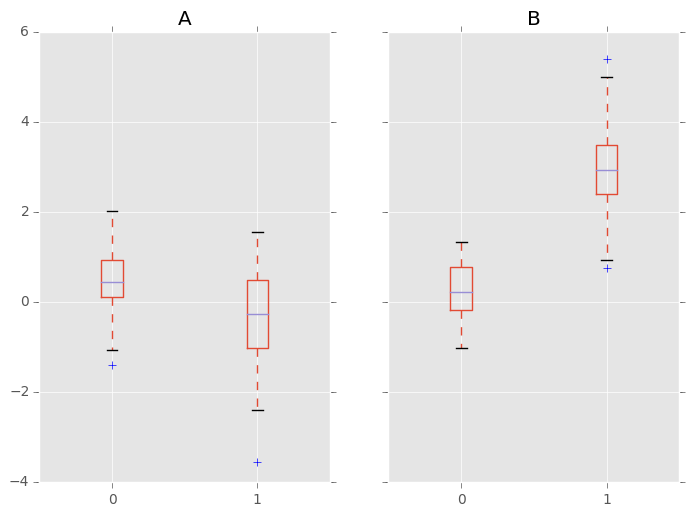 For example, suppose we suspect that some features in a DataFrame my differ by group, in this case, the values in column 1 where the group is “B” are 3 higher on average.